I live in South Dakota and this winter has been a long one! I. am. over. it. 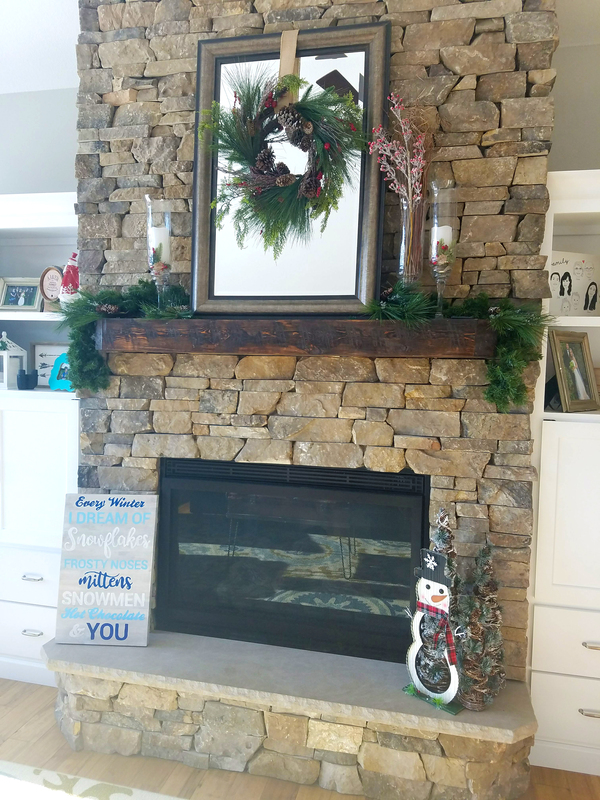 However, despite my hate for the season currently I do still love having winter decor around my house. 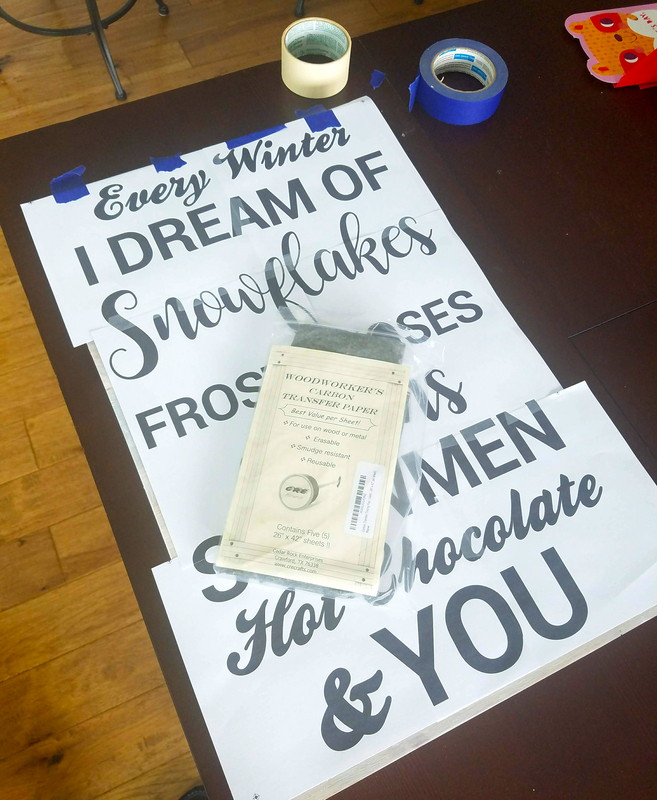 I have been eyeing several winter “word signs” but really didn’t want to spend the money on another sign. I decided to try to make one myself. 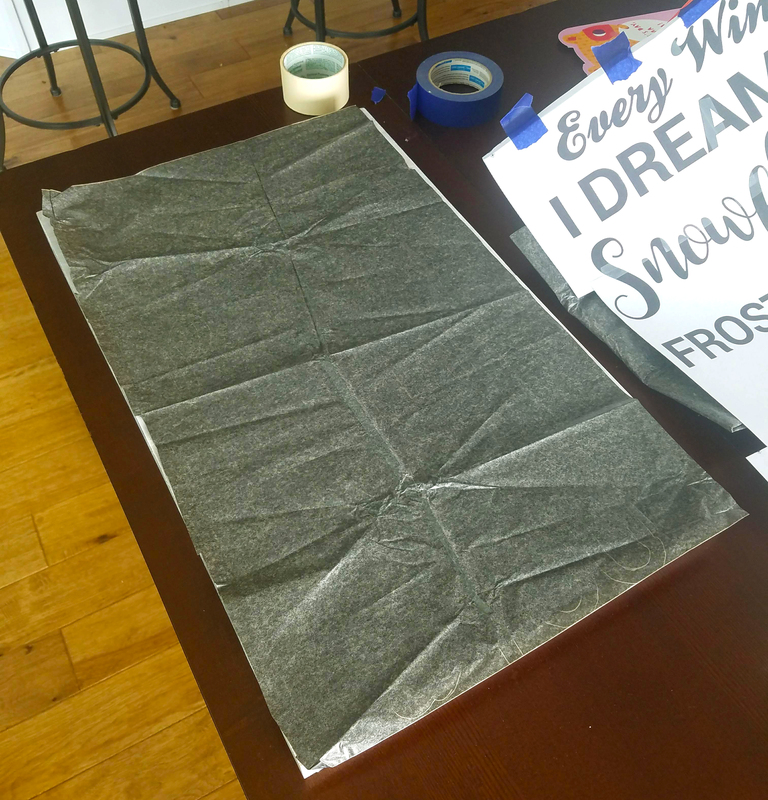 I don’t have a vinyl cutter so I decided to try making this sign with just a few items I had around the house. To start I needed a nice piece of wood. I had a chunk of old butcher block left over from my desktop that I thought would be perfect. Really any scrap wood will do. 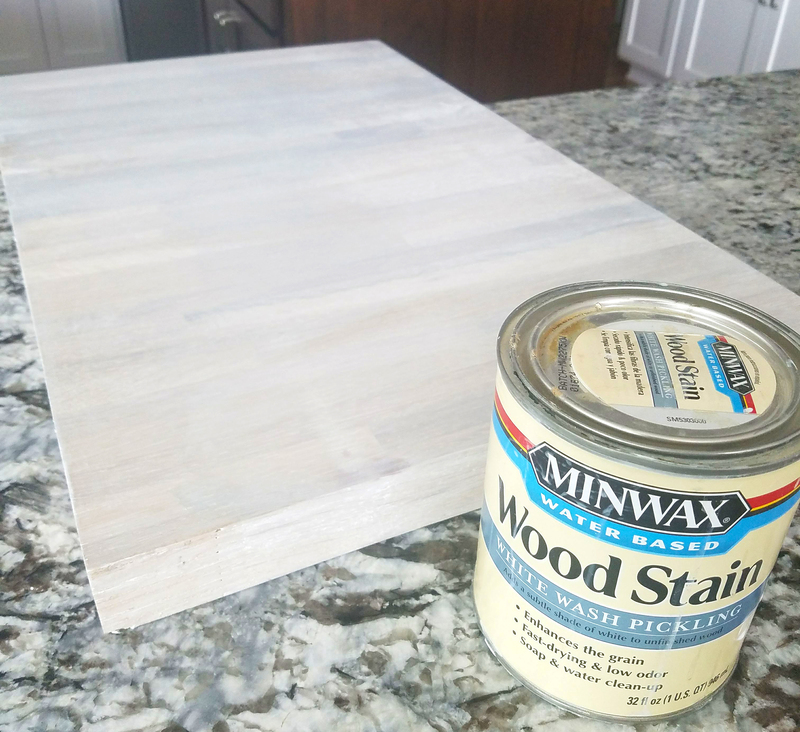 I decided to white wash it with Minwax White Wash Wood Stain. The application was easy and it created a nice off white canvas to paint my letters on. 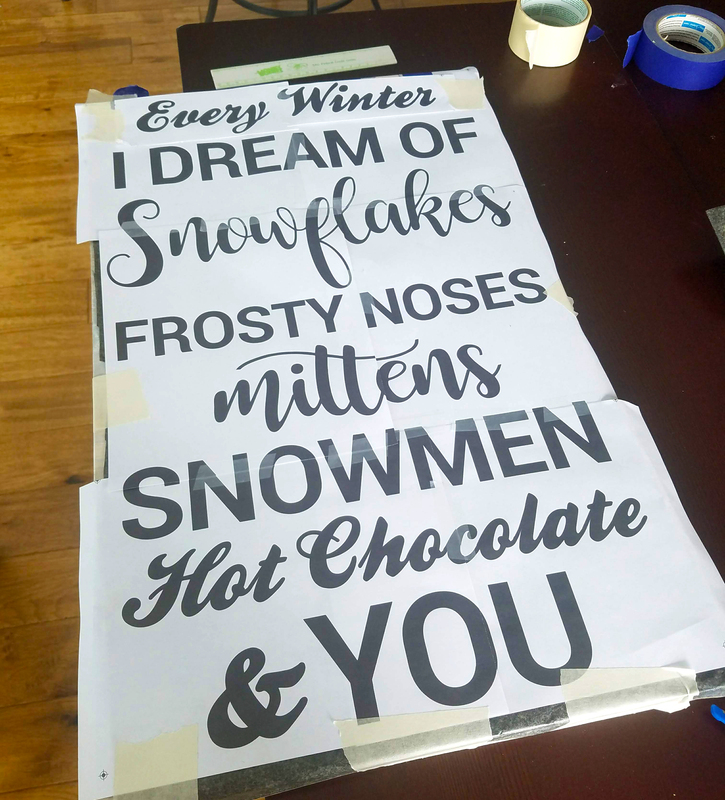 Once the sign was dry I typed up my saying on the computer and had it tiled when I printed it out. Usually you can find those tile settings within your printer dialog box. 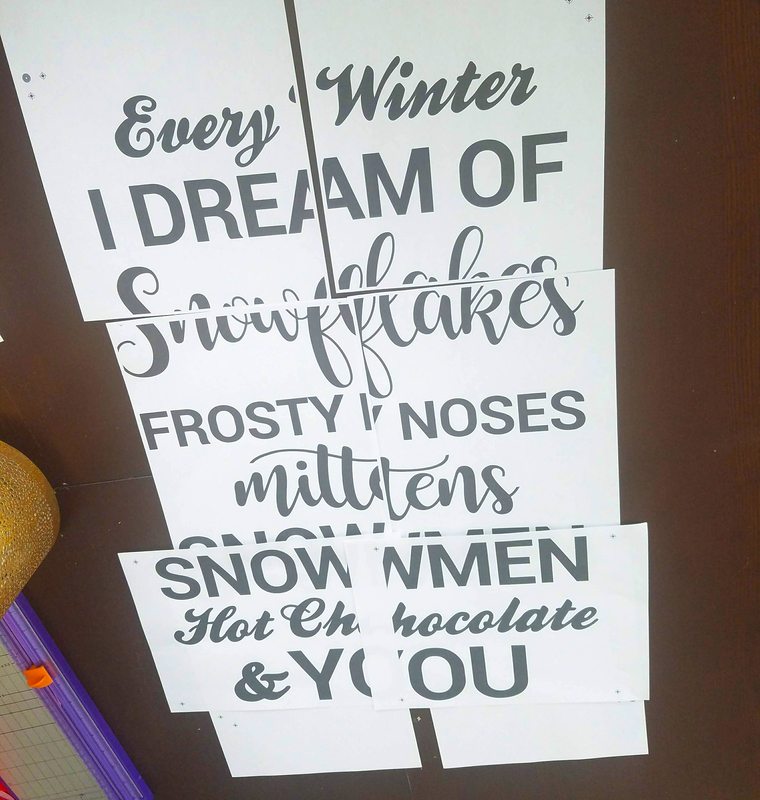 Cut out each page so you can line the letters up easily. 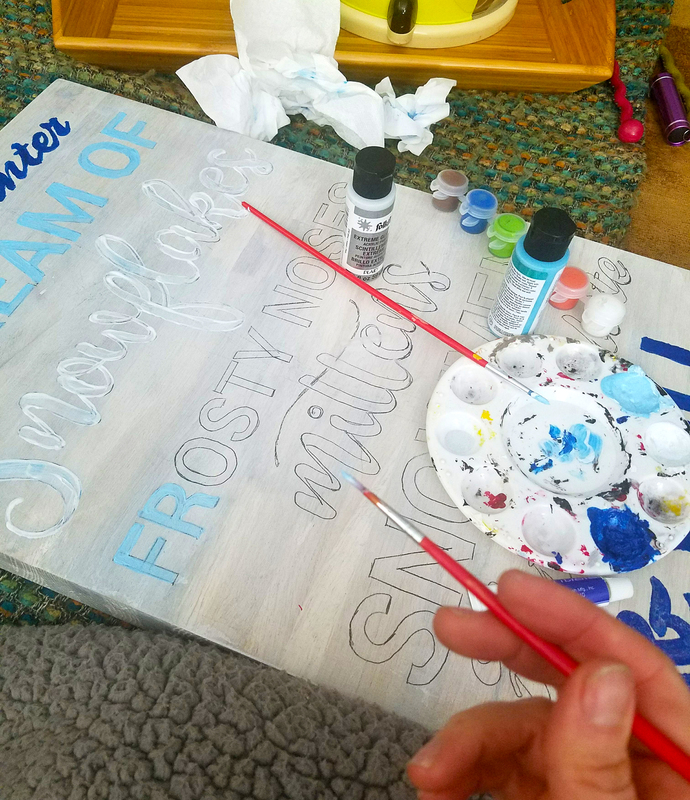 Layout all your letters and tape them together on the wood you are wanting to paint. Tape the top of the entire “tiled sheets” exactly where you want to have your letters placed. Also, get out your Carbon Transfer Tracing Paper. Flip up your typed up sheets and place your Carbon Transfer Tracing Paper under it. 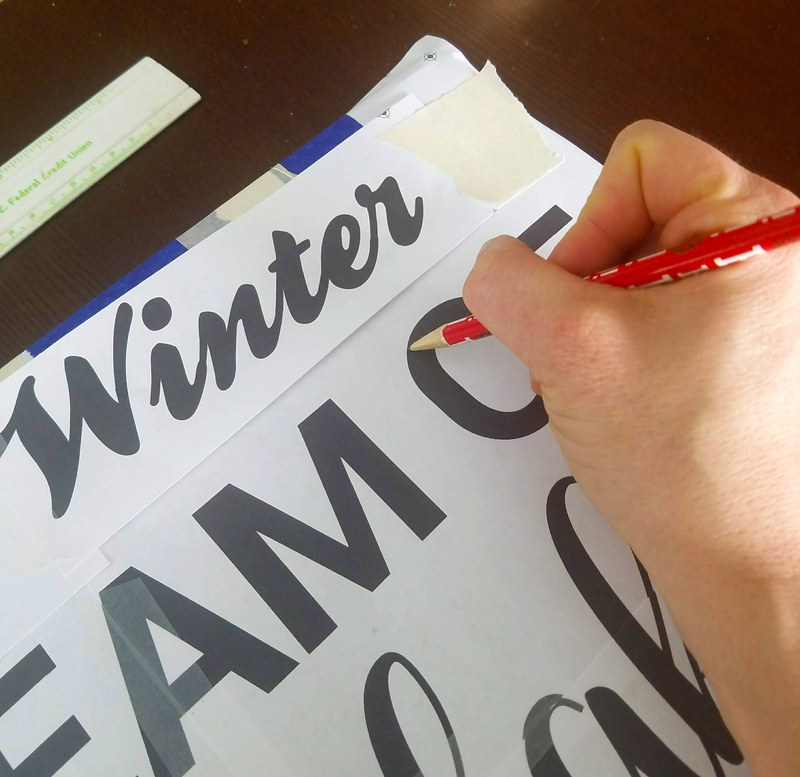 Place the typed sheet back over the Carbon Transfer Tracing Paper and use a pencil to lightly trace over the outline of each letter. You do not need to push very hard as the carbon will transfer quite easily. The darker you push the more paint you will need to use to cover up those lines. When you are done tracing all of the letters, remove the typed paper and Carbon Transfer Tracing Paper. Grab your acrylic paint and start filling in the letters. My paint honestly was a little old so I feel like if I would have had some newer paint it would have looked smoother. Looking around on Amazon I with I had this set here, it has good reviews a nice amount of colors. Also, on my next sign I am going to try paint markers. I love the way it turned out! 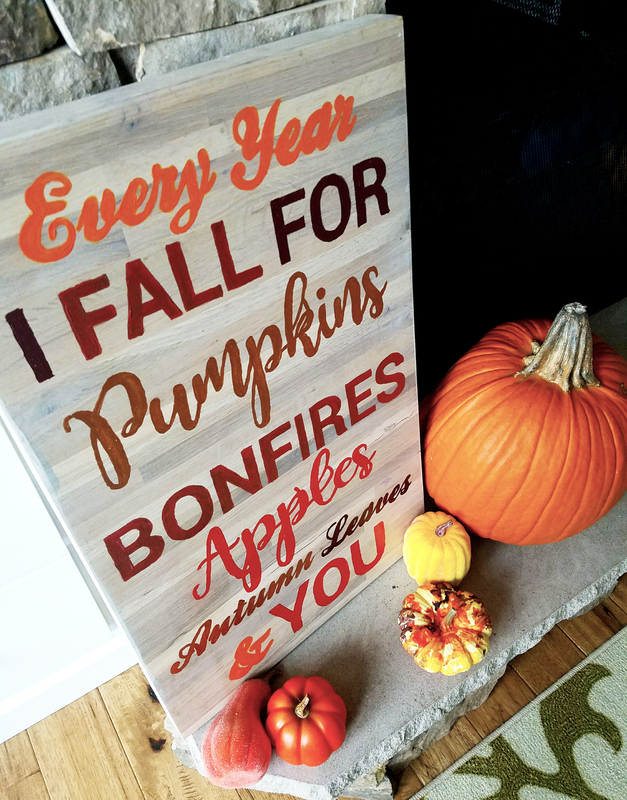 Really I started this project fall of 2017 and made the other side have a fall theme saying. So one side is winter and the other side is fall. 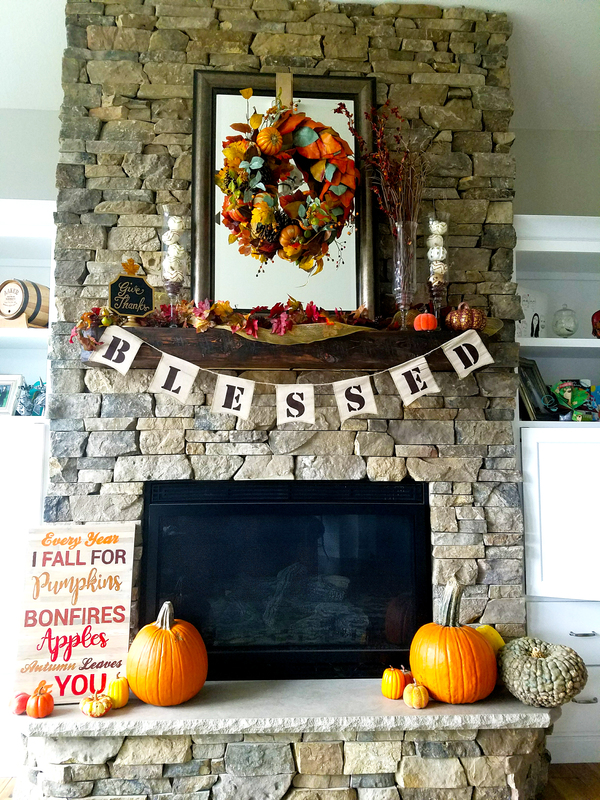 Either way makes for great decor for half of the year here in South Dakota! With my luck, now that this sign is finally finished Spring most likely will start tomorrow! One can hope right?!?! One year ago we purchased our “new” house (see post here). This house is not our ideal house and to say it’s very dated is such an understatement. We fell in love with the 5 acres of land this house sits on and we were able to purchase this house/land at a very good price but our overall goal is to build a different house on this same lot and knock this one down. (As recommended by the two contractors we brought out to bid for remodeling it.) Until then, we are living in a house that looks like it could be right out of the Brady Bunch tv show! 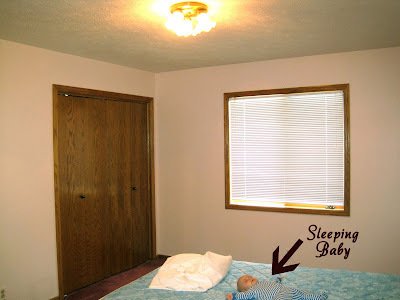 When we moved into this house, my husband made the rule that I could only use paint to remodel any of the rooms, just because it would be a waste of money to put anything more into this house. Really I didn’t have plans to do much remodeling/painting, but the more I live in this house the more I realize and crave a fresh coat of paint on the walls. I love painting and it is amazing what a coat of paint can do to transform a room, plus add some color to these plain white walls! I started with the kitchen (Kitchen Redo), created my son a fire truck room out of the small office room, and I am almost finished with creating the room for the nursery. 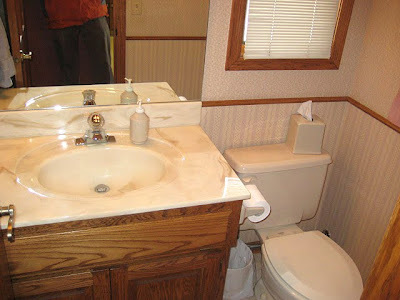 In the last week I decided to remodel our master bathroom, the only full bathroom on the main floor. 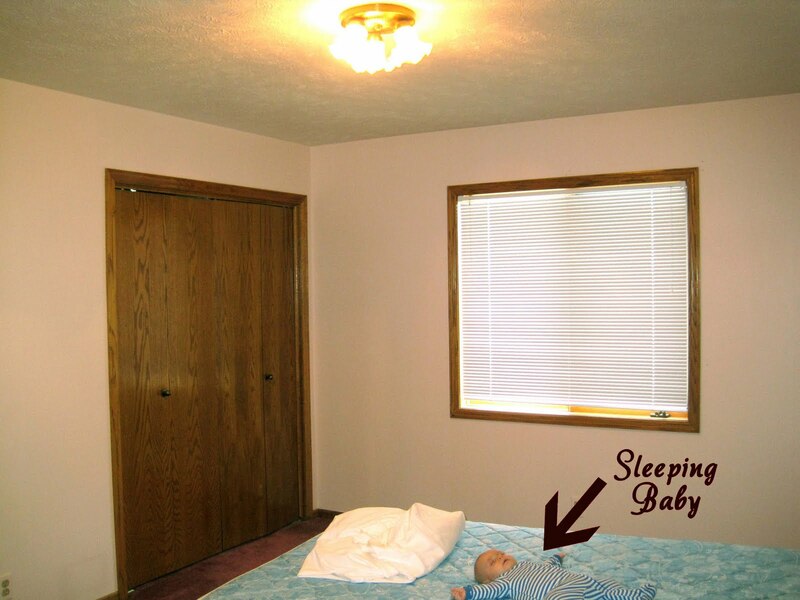 I know I am not quite finished with the nursery, but I am giving myself time to hunt for good deals on little decorative features in the room. So while I garage sale shop on the weekends for the nursery, I have been working on this bathroom on the weekdays. I thought it would be nice to share with you what the bathroom looks like. Be prepared…it’s U-G-L-Y! This whole bathroom is pretty bad. 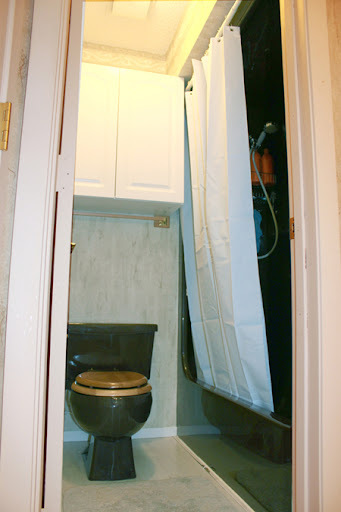 Brown tub, toilet, brown wallpaper, 70s lighting…it looks like a dark cave. Here is the up-close of the sink. I have to keep the sinks and counter tops, as paint is only allowed. I am going to try to spray paint these faucets….we will see how that works out! And the up-close of the cupboard hardware, which of course I will be painting! I am pretty sure this project might not get all the way finished before the second kiddo comes along. My goal is to get the wallpaper removed, walls, cupboards, and hardware painted and then work on my little “decorating” projects when I have time after the new baby comes. Who knows, maybe I will be able to get it all done for her arrival, but I am not going to push it. Until then, HAPPY PAINTING! It seems that I am always in need of more toy storage in our house. It’s not like my child has a lot of toys, he doesn’t, but some of the ones he has are too big to fit into his little toy box we are currently using. 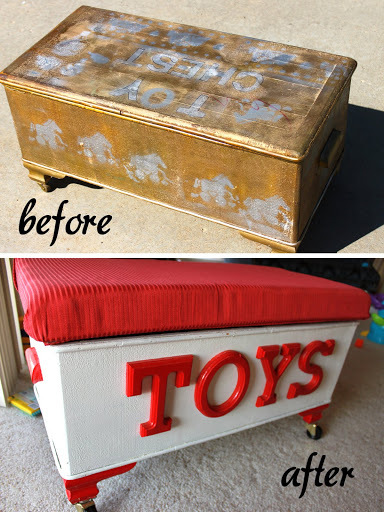 For the last year, we have been using the toy box I refinished for his fire truck room (Garage Sale Redo: The Toy Box). I knew that once his fire truck room came to an end we would have to move this toy box out of the living room and into his room. 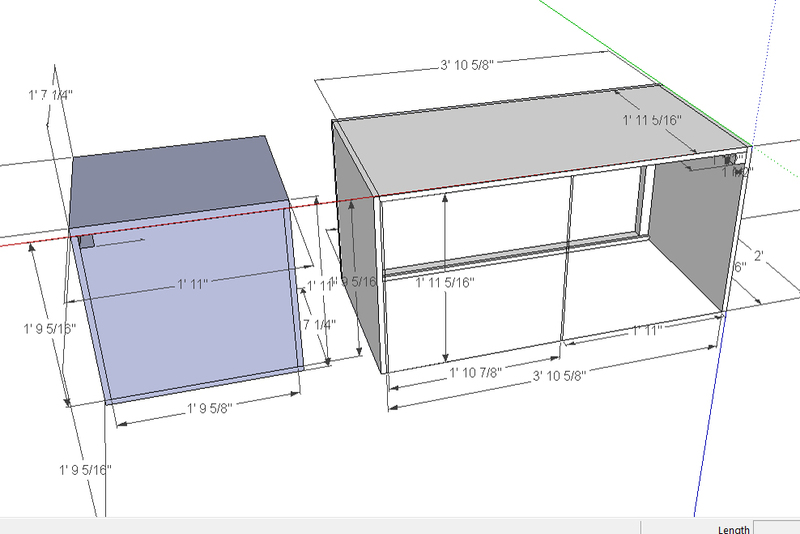 My original idea was to build him a large desk, with two storage cubes under the desk that could roll out. I worked for hours on this plan with Google Sketch. I excitedly cut the wood for this project (just the desk part, not the cubes) but made a promise to myself I couldn’t work on it until I finished the fire truck room. Months later, the desk pieces were cut but the desk was un-built and I started to lose heart in the project. Two 2’x2′ cubes for storage didn’t seem like enough storage room for me. In addition, at IKEA one day I found a table for $14 that was the perfect height for little chairs my sister Luci had given me, so the whole desk idea went out the window. 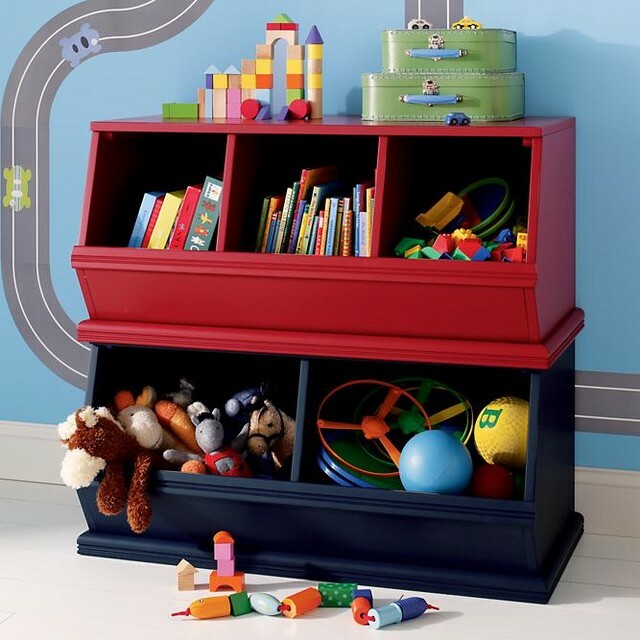 I love the large open storage concept and thought it was great for the larger toys! After look around on the internet I ran across plans for this on Ana-White.com. 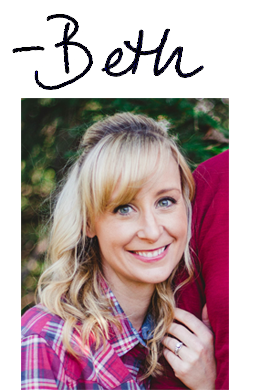 I love her website and thought this would be PERFECT!! I loved the open storage on the bottom and the shelves on the top. My goal was set– build the bottom storage unit and wait on the top bookshelves for a later date. Now I decided to not be wasteful and use my cuts I had already made for the original desk I was going to build him, which ended up being one 4’x8′ sheet of MDF. The storage cube I built is 4-feet long, 2 -feet tall, and 2-feet deep. The top is 15-inches, perfectly cut to be the right size for me to put some of my extra baskets on it. The front board on my box is 9″ tall, making it only 9″ deep. I fretted about whether this would be deep enough, but it turns out it is! I unfortunately didn’t take any picture while building this project, I was just too excited to get it finished! I sort of winged this job too. Ana-White‘s website wouldn’t load the plans, so I just made the desk up like how I thought it should be. Really any dimensions you want with the shelf would work. My dimensions below are estimates as you have to account for the thickness of your MDF. 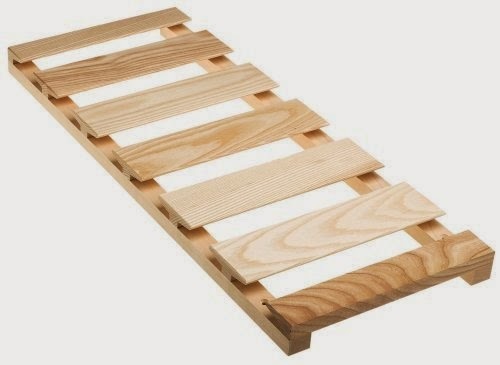 In a nutshell, with no pictures, here’s the basics of how I made this shelf. 1. I attached the bottom and back 4’x2′ cut MDF to each other to make an L-shape. I used a counter sinking bit and used 2″ all purpose screws. 2. Attached the side walls and center wall boards to the back and the bottom board, again using a counter sinking bit and used 2″ all purpose screws. 3. I didn’t want screw holes to show on the front and the top, so I glued these boards on and used my nail gun to nail them to the existing boards. 4. I filled all the nail holes with wood fill and plugs for the countersinked holes. 4. Lastly, I knew this thing would be heavy! Super heavy, I flipped it over (with the help of my strong husband) and attached wheels to the bottom. 5. I thought the wheels would look tacky sticking out, so I nailed trim around the box with the nail gun and reinforced the trim with some 1″x2″ scrap boards I had. 6. I painted it and here is the finished product! Now, if you can’t tell we have plenty of toy storage room! I chose the red color to match the lining of my baskets and painting on the wall. The baskets hold books and duplo blocks. Of course when Aiden saw those toys in the box, he was determined to take them out! Here is the second post on the redo of my pantry door. (See first post here.) 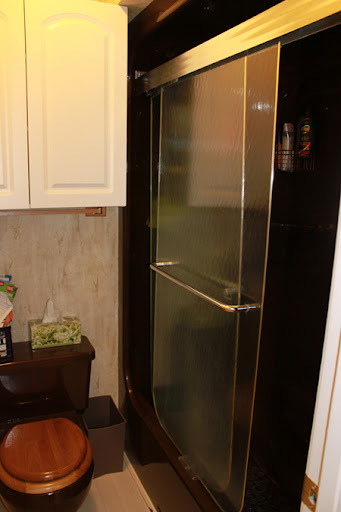 If you remember, back in June I commented on my kitchen remodel that I had grand plans for my super plain pantry door. After scouring the internet for ideas, I finally formulated my plan. Painting my pantry door with both magnetic and chalkboard paint. Here is my little DIY, on how I did this project. Here is how my pantry door started out. and drew lines to mark where I wanted to paint. The first layer needed to be the magnetic paint. I decided to use Rust-oleum Magnetic Primer as it seemed to have the best review online. I read online that you need a good six coats for the magnetic paint to work, but after my sixth coat I found that it barely had a magnetic hold. I ended up painting TEN coats of magnetic primer. And this paint is AWFUL to paint with! It is hard to remove from your hands and has a very oily texture. I felt like I was painting with motor oil. In hindsight, I should have just bought a large sheet of thin metal and glued it to the door! This is a picture of the paint after one coat of the magnetic primer. After my TEN coats of magnetic primer, I finally decided it was strong enough for magnets and it was time for the chalkboard paint. I purchsed Rust-Oleum Specialty Chalkboard Paint and painted two layers of paint over the magnetic primer. I removed the tape and the directions say to let the paint cure for three days. I wanted to add a little more decorations to the kitchen, so I purchased a custom vinyl cut decal from Curzon Promotional Graphics. I was able to design exactly how I wanted the decal to read and layout. After the three days of letting the chalkboard paint cure, the directions say to place a layer of chalk over the top of it. Here is the door covered in chalk. And wipe it off with a dry cloth. Finally, we are done! The door turned out great! I repainted the rest of the door white to brighten it up and switched out the door handle to one that can be locked. (To prevent a certain toddler from emptying the pantry!) I love the way the decal adds some cute decoration to my kitchen, and we actually use this board quite a lot! Aiden isn’t quite old enough to know how to use chalk, he more eats it then anything, but I think eventually he will love drawing on this door. He plays with the magnets while I cook, which has been a nice distraction to him trying to go through my cupboards. The hubby likes the door because it’s a good way to keep track of what we need to buy at the grocery store next time we go. It has become a real lifesaver around the kitchen and I am glad to have another project checked off my list of things to do around the house! This was the very first project I started when we bought our new house. If you missed it, we bought a 1970s house that needs some major remodeling. After getting a few estimates for a remodel, we found out it would be cheaper to bulldoze the place and build a custom home. Our plan is to pay off the mortgage on this home and then save up for a new house. Until then, my husband gave me permission to paint. Just to make this home a little more livable. The cupboards were a light beige with shiny brass fixtures. I couldn’t decide what color to paint the cupboards, I was thinking of a fresh green color or black. I know, totally two ends of the spectrum, but I have always loved green cupboards. They looks just so cute! However, black looks so sophisticated and adds depth. After painting a few samples I realized green added to the already 70s look of the house, which I did not want to encourage. I decided to paint them black. Once the cupboard doors were off and the hardware was removed. I wiped down all of the doors and cupboard framework with a deglosser. You also have the option of lightly sanding the cupboards if you don’t want to spend the money on a deglosser. I didn’t want to deal with the dust and I honestly hate sanding. I thought the deglosser was the easy way to go. You apply it with a rag and let it sit for about 20 seconds. Then you wipe it clean with another rag. It leaves a somewhat tacky surface, which helps your new paint stick to the wood. We live in a small town, so I had to buy paint at the local TrueValue and this is the brand they recommended. 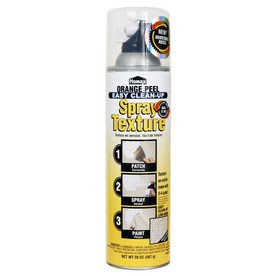 It’s their store brand and has a built in primer, which allowed me to skip a step in the process. For the cupboards I chose the color Brimson Tide. The color is not all the way black, more of a chalkboard black. 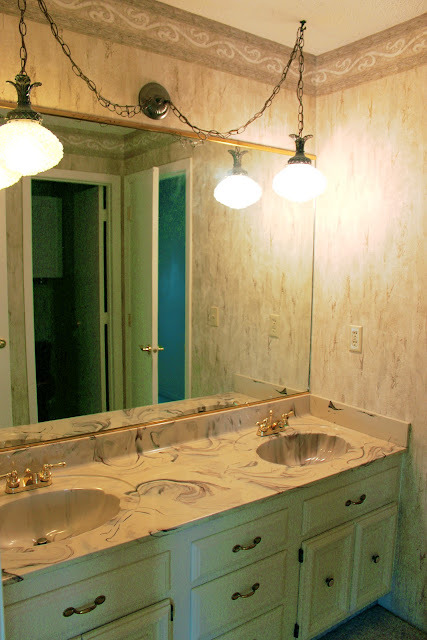 I also bought a light beige paint for the walls, called Encompass, that matched the swirls in the countertops. Overall, the brand of paint worked pretty good, but I still prefer Valspar paint as my painter’s choice. 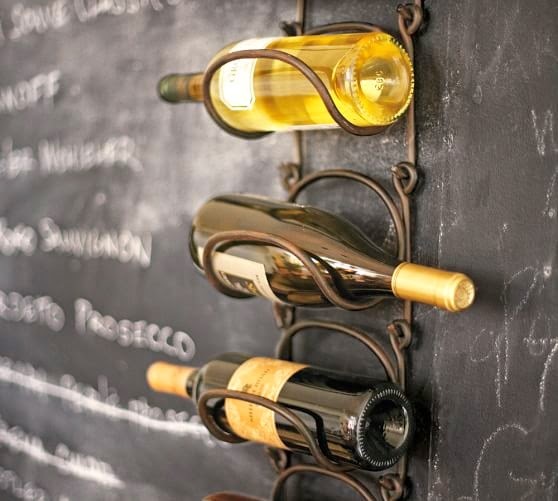 and these awesome hanging wine holders from Pottery Barn. Just found out you can find a cheaper version of this here. So that is my teaser to the kitchen. I will have the results up next week and all I can say it that it is AMAZING what a little paint can do for a room. I absolutely love the results of my kitchen!